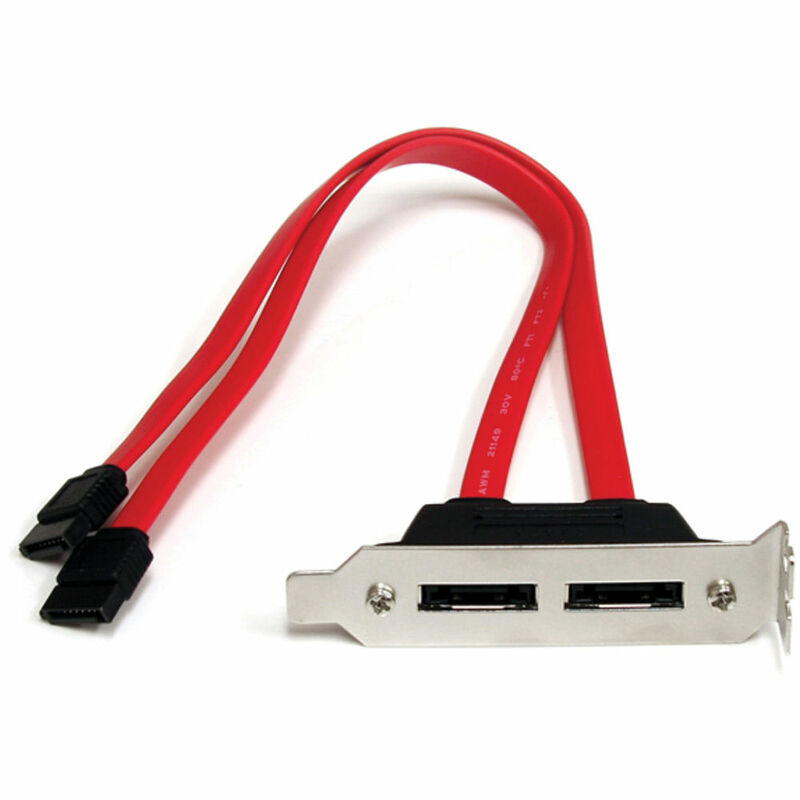 The red 2-Port Low-Profile SATA to eSATA Plate Adapter from StarTech adds external data support to any existing Serial ATA controller, adding two eSATA ports for connection to external SATA devices. With support for data transfer rates of up to 6 Gb/s, this plate allows you to take advantage of the increased data integrity provided by external hard drives or RAID devices that support eSATA connections. The adapter plate can be mounted to the rear panel of a computer case to provide straightforward eSATA to SATA connections. This allows users to connect their eSATA devices (hard drive enclosures and more) to the provided eSATA ports which is an extension of the motherboard SATA data connector. Constructed of high-quality materials, the adapter plate is designed for optimum performance and reliability. Box Dimensions (LxWxH) 9.0 x 5.0 x 1.0"